To better understand the implication of this recent study, we spoke with Dr. James Martin Jr. (JM), who serves on the Medical Advisory Board and Biomarker Consortium for the Preeclampsia Foundation (PF). PF: The Roche assay has been under study in several centers in Europe since 2010. Why is the publication of this paper now so interesting? JM: Serum diagnostics (blood tests) are released for general clinical use only after extensive testing. Clinicians require clear directions for the use of any new test, including how to order it and integrate the results meaningfully into patient care. The study published in the NEJM is a major study with a large cohort – more than 1,000 women — that rigorously tested how well this blood test could be used in women suspected of developing preeclampsia. PF: What was the conclusion of the study? 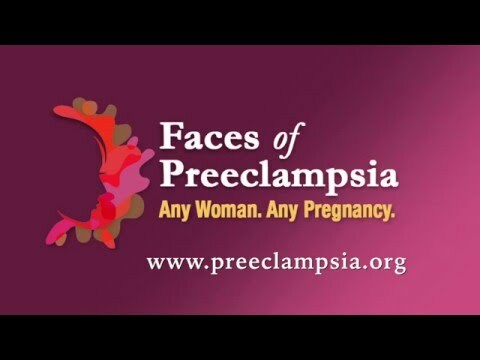 JM: The study concluded that the test results can reliably predict who will not develop preeclampsia during the first week following the appearance of signs and symptoms suspicious of preeclampsia. Using a “negative predictive value,” the test results can be used to rule out preeclampsia or determine the probability of subsequent preeclampsia development. PF: So if a pregnant woman’s blood was tested using this assay, what would the results tell her healthcare provider? JM: The Elecsys® Assay appears to have a strong negative predictive value good for one week, but it doesn’t appear to have a strong positive predictive value — only about a third of the women who test “positive” actually develop preeclampsia over the subsequent month. That means if a woman presents with rising blood pressure or any of the typical preeclampsia symptoms, but she has a negative score, the doctor can confidently predict that she will not develop preeclampsia or any associated negative health outcomes from preeclampsia during the following seven days. Depending on the composite clinical picture, a negative score might allow the doctor to decide against hospitalization and continue outpatient monitoring. On the other hand, if preeclampsia is not ruled out and appears likely, the doctor likely would choose hospitalization to further monitor and evaluate the mother to determine if disease were present and intervention was necessary. PF: So the test is not good at saying when a patient suspicious for preeclampsia actually has it, but instead is excellent for indicating that a patient suspected of possibly having preeclampsia doesn’t have it. JM: Correct, at least based on this study. There is a lot of work still to be done before this test or others like it are ready for general clinical use — what are called randomized clinical trials must be undertaken in order to determine if the use of any proposed test has better results than usual care when applied to all kinds of patients, different labs, and clinical settings. PF: Are there other benefits to a negative screening test than just the avoidance of an unnecessary hospitalization? JM: We are likely to see a reduction in unnecessary preterm births. The new definition of preeclampsia includes a constellation of non-specific symptoms like headaches and visual disturbances, so it’s going to be even more likely that doctors will choose to deliver the baby if preeclampsia is suspected — currently the only definitive treatment – which in some cases may be unnecessary if the mother really does not have preeclampsia. Every week counts for a baby in a healthy womb. PF: Are there other tests available in the U.S. that can predict or diagnose preeclampsia? JM: There are quite a few tests in various stages of testing and availability, with a lot of promising research in the pipeline. It took four years for the European investigators to complete the work reported recently, and it will take more time to complete the effort required to fully evaluate the value of other new things coming on line. The emphasis clinically at present should be heavily on prevention of preeclampsia with reduction of known risk factors and prescribing low dose aspirin for patients who are identified to be at risk to develop this potentially serious pregnancy complication.